British boxing is set to hit the record heights this year with number of world champions defending their titles and some great looking non-title fights for British boxers. The latest fight confirmation came with James Degale set to defend his IBF super-middleweight title against mandatory Rogelio Medina on 14th May 2016. 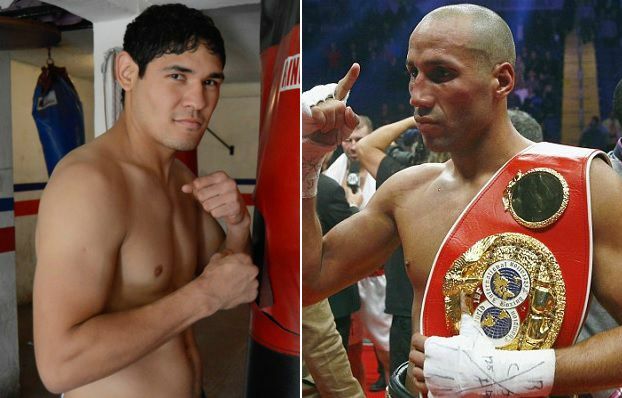 Degale was expected to fight mandatory Jose Uzcategu on the undercard of “Anthony Joshua vs Charles Martin” on 09 April at O2 arena but with Uzcategu suffered illness and withdraw for the fight Rogelio Medina bacme the mandatory and the deal was finilized this week. Eddie Hearns suggested that Degale might headline his own fight night and the suggested date is 14th May. This will be the third defense of his IBF title and Rogelio Medina does not pose much of a threat as Degale has been installed as heavy favorite for the fight. The prefered fight for Degale was a unification bout against Jack Badou but both parties failed to reach a deal but probably will fight later in the year. BROADCASTING Degale v Medina might co-feature the Joshua vs Martin card and SkySports will turn it to Sky Box Office PPV. But as Eddie Hearns suggested Degale is good enough to headline his own show and they are looking for a separate date on 14th may 2016. TICKETS The date of the fight is yet to be confirmed but the venue will be o2 arena and tickets will be available once fight’s date (09 April or 14 May) has been confirmed. Who is Rogelio Medina ? A decent boxer from mexico with a record of 36 wins in 42 fights and 30 knockouts. His most notable fights were against current WBC champions Badou Jack which he lost of course along with another big fight agains J’Leon Love resulting in another defeat. Realistically he don’t have a chance and Degale should defend his title and setup bigger fight against Badou Jack later in the year. We will update this post once the date/venue and broadcasting details has been confirmed. Do check back for more information.